The Government’s new clean air strategy aims to cut the costs of air pollution to society by nearly £2bn every year by 2020, although critics have warned that it lacks detail. 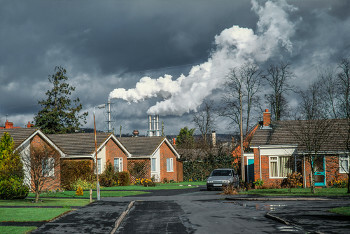 Environment secretary Michael Gove launched Clean Air Strategy 2019 on Monday, which he described as an ‘ambitious, long-term target’ to reduce people’s exposure to particulate matter (PM). Air pollution contributes to around 40,000 deaths each year in the UK and costs the economy an estimated £22bn. The World Health Organization (WHO) has identified PM as the most damaging pollutant. The strategy recommits the Government to ending the sale of conventional new diesel and petrol cars and vans from 2040. It also places restrictions on domestic burning on stoves and open fires. New legislation will be introduced to prohibit the sale of the most polluting fuels and only the cleanest stoves will be available for sale by 2022, according to the strategy. The Government will also continue to explore how they can give local authorities powers to increase the rate of upgrades of inefficient and polluting heating appliances. The agriculture sector, which is responsible for 88% of ammonia emissions, is being encouraged to do more to reduce emissions by investing in new infrastructure and equipment. The clean air strategy says new regulations will be brought in to incentivise the use of low emission farming techniques and to minimise pollution from fertiliser use. The Government is also committed to halving the number of people living in areas breaching WHO guidelines on particulate matter by 2025. The UK is the first major economy to adopt air quality goals based on WHO recommendations, going beyond European Union legal requirements. ‘While air quality has improved significantly in recent years, air pollution continues to shorten lives, harm our children and reduce quality of life,’ said Mr Gove. ‘We must take strong, urgent action. Our ambitious strategy includes new targets, new powers for local government and confirms that our forthcoming Environment Bill will include new primary legislation on air quality. Dr Tedros Adhanom Ghebreyesus, director-general of the WHO, said: ‘Air pollution kills seven million people globally every year, making it one of the largest and most urgent threats to global health of our time. In response to the publication of the government’s Clean Air Strategy, Morten Thaysen, clean air campaigner for Greenpeace UK, said: ‘The Government is saying all the right things about the huge cost in human lives, and money, which our appalling air quality imposes, and gives an important signal about tighter long term targets. ‘But there seems to be a bit of a disconnect between this recognition of the urgency of the problem and the extremely relaxed approach to solving it. ‘Even after recognising the seriousness of the air pollution crisis the Government is proposing nothing new to tackle pollution from road transport.